I found Resource Tuner on Download.com and it was the only software like it I've tried. It was so easy to use that I decided to go for it: the easy and intuitive UI that allows for editing .dll files. The Resource Filter is an easy way to see only those items stored in the resources that meet conditions you specify. When you filter items, you selectively choose what items will appear in the view, and only those items will appear in the treeview. All of the other items are still in the resources and can be seen again by removing this filter. 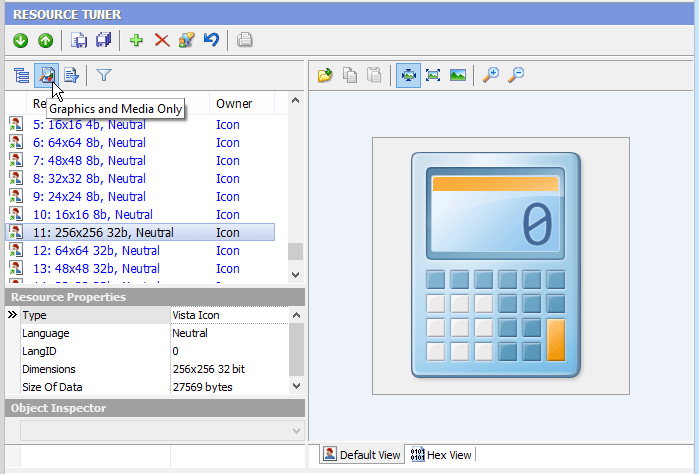 The pre-defined "Graphics and Media Only" filter enables you to see only items such as icons, cursors, pictures, sound and video files found in the file. 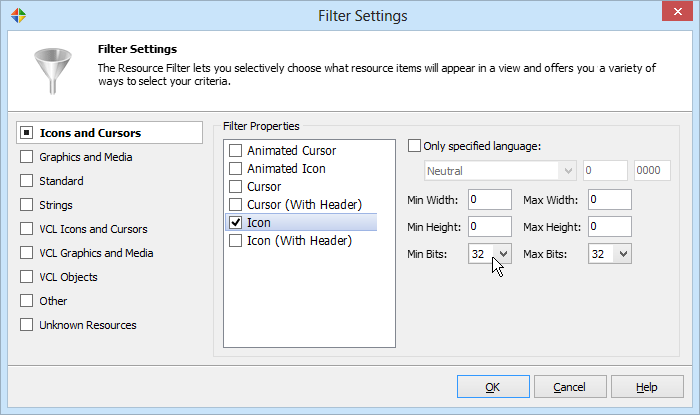 The Filter Settings dialog box offers you a variety of ways to select and organize your criteria. 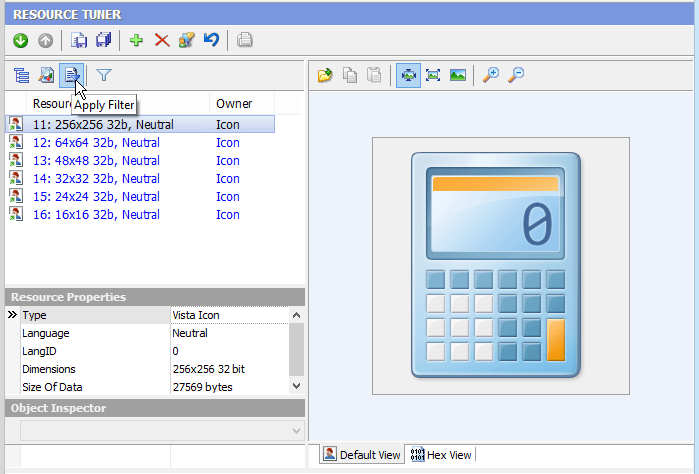 For example, you can filter all icons with 32-bit color depth.